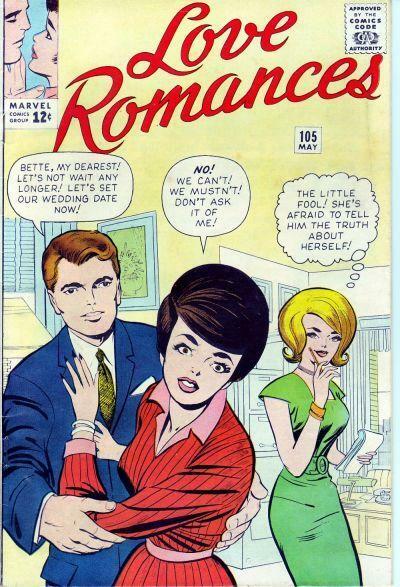 Internet451 » You little fool! 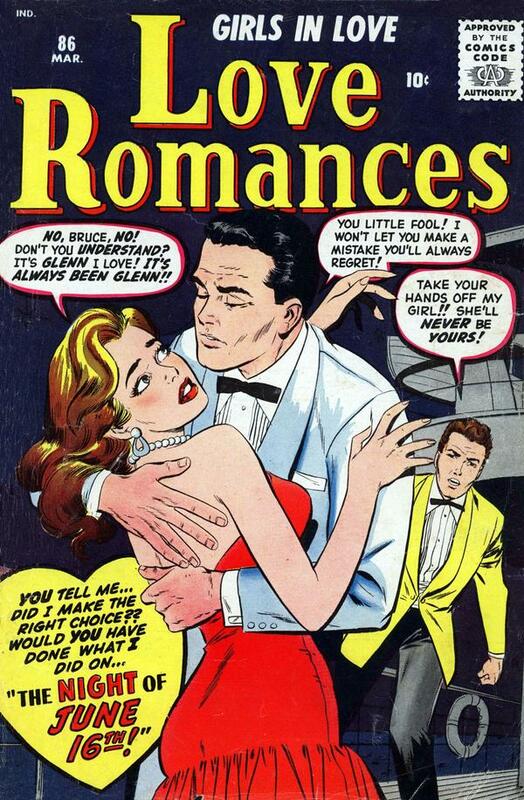 One of the pre-superhero staples of Atlas/Marvel in the 50′s was Love Romances. 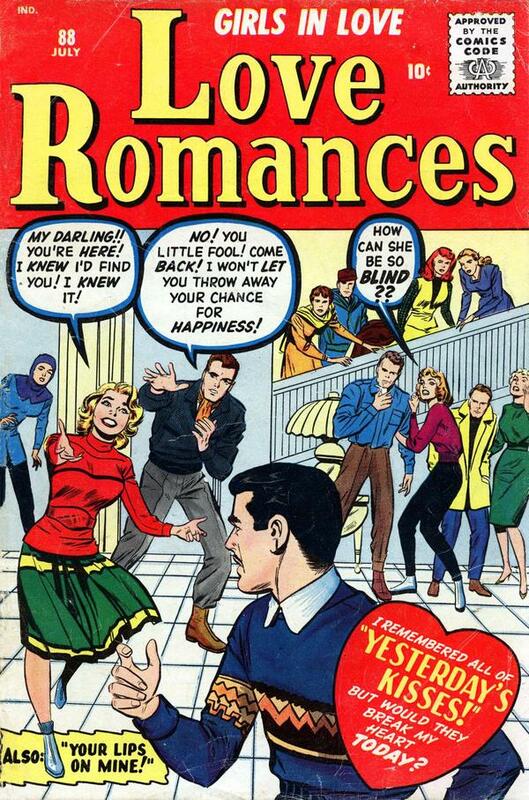 As the title suggests, it was a romance comic. 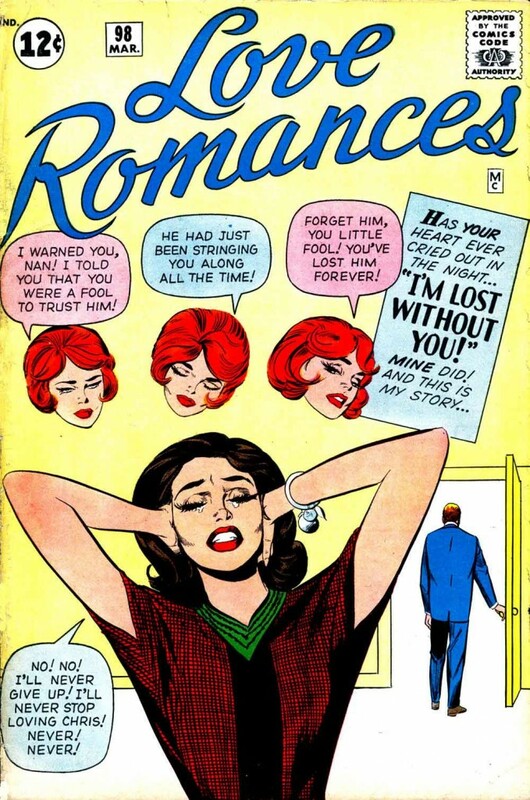 Alex Toth, Jack Kirby, and Vince Coletta worked on various issues. 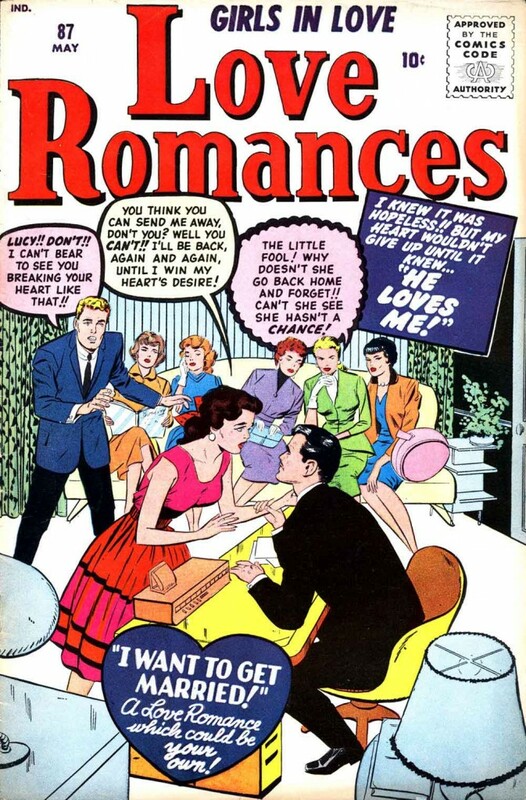 There were several unconnected stories in each issue, but the covers show a common thread running through many issues. You can read more about what’s inside at Pencil Ink.